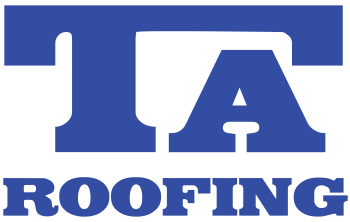 At TA Roofing we offer a comprehensive roofing package from estimate through to completion. Being one of the leading contractors in North Yorkshire and rapidly expanding Nationwide for commercial clients, we have formed exceptional relationships with roofing manufacturers. We exploit this to our advantage to provide you the very best possible quotation whilst still maintaining our high standards of service. Our skills are in working with both reclaimed and new roofing products, and our fully qualified workforce is always able to offer a huge variety of roofing expertise and specialities in all aspects involving the most and challenging roof problems. To complement our roofing skills we employ lead plumbers, joiners and bricklayers to ensure that we can offer a comprehensive and complete roofing package. All of the projects we carry out are supervised, ensuring the high standards of health and safety and workmanship set by us are met and maintained. All our staff are fully trained, Health and Safety competent and CRB/DBS checked, so you can rest assured that your project is in very competent and safe hands. As a company we constantly strive to reduce the impact that we have on the environment as well as being socially responsible, sustainable and safety conscious. For further information please contact us and we will be more than happy to answer any queries you may have about any of the services we provide.